Founded in 1963, the Chinese University of Hong Kong (CUHK) is a comprehensive research university with a global vision and a mission to combine tradition with modernity, and to bring together China and the West. CUHK is the only university in Hong Kong that offers a collegiate system. The nine Colleges of CUHK offer a plethora of non-formal learning opportunities to complement the formal curricula. At CUHK, a wide range of academic programmes leading to the bachelor’s degree are organized in its eight Faculties, including Arts, Business Administration, Education, Engineering, Law, Medicine, Science, and Social Science. Given its geographical location, traditions, and ties, CUHK enjoys special advantages in the study of Chinese language, culture, economics, etc. Different specialties in engineering (electronic, information, automation, etc.) command world-leading positions. Its Business School, Law School, and Medical School are reputable training grounds for professionals in their respective fields as well as centres of seminal research. CUHK promotes interdisciplinary research excellence on a local, national and international scale. It has four research priorities, which are China Studies, Translational Biomedicine, Information and Automation Technology and Environment and Sustainability. The University is a world leader in non-invasive prenatal testing theory and method, genomic studies on plants for sustainable agriculture and food security, and network coding theory that revolutionized data transmission and network applications. CUHK has the largest, most scenic and sustainably designed and maintained campus in Hong Kong, complete with modern learning facilities and cultural, sport, social and other amenities. 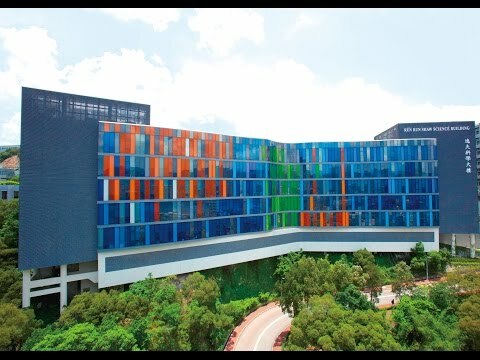 Located in Shatin, the campus is conveniently connected with the MTR system to all parts of the city.